As recorded in The Urantia Book, two hundred millennia ago 37 planets, including our own, were quarantined from the rest of the Multiverse to quell the spread of the Lucifer rebellion within the angelic hierarchy. Now, after eons of isolation, the fallen angels have been forgiven and Earth’s connection with the Multiverse is being restored, initiating a massive transformation of consciousness as we reconnect with angelic guides, extraterrestrial beings, and our spiritual heritage as sacred vessels for God’s presence. 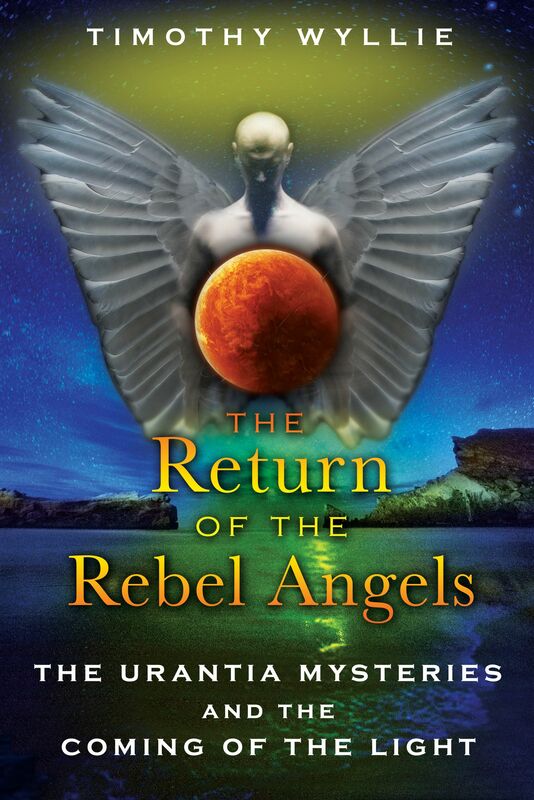 Providing an update to The Urantia Book through angelic transmissions he has received and remarkable spirits he has met, Timothy Wyllie investigates the underlying motives of the angelic rebellion and the impact it has had on our planet for the past 200,000 years. Offering a profoundly optimistic vision of the future and reassurance that the coming spiritual transition will be gentle, Timothy Wyllie describes his encounters with angels, ETs, and other enlightened beings around the world, including how he made contact with his own guardian angels, met the man who may have been Grand Master of the Prieure de Zion, fell in love with a beautiful Cathar reincarnate in Provence, and officiated at the 1981 Conference in Spirit inside the Great Pyramid of Giza. He explores different planetary cosmologies, authentic extraterrestrial intelligence, entheogenic revelations, and the spiritual implications of the Holographic Paradigm, weaving together a coherent and provocative understanding of the current state of our planet within the larger context of a benevolent and caring Multiverse. It has obviously been in the midwayers’ interest to remain largely hidden from human ken for these past two millennia. The behavior of the rebel midwayers that we find recorded in the Vedic, Sumerian, Egyptian, and Greek traditions, when they had last made themselves obvious to human beings, had not been very exemplary. Without responsible leadership, those midwayers who aligned themselves with the rebel faction, as we know, soon fell to infighting, splitting into rival groups, and using terrified humans as their pawns. If the rebel midwayers were to return, they would need to take their lead from the relative few who’d remained here, faithfully fulfilling their functions from behind the veil. In an increasingly materialistic and scientific age it must have been simple for them to have remained hidden, but it would have made their tasks far more difficult. While Western culture has undoubtedly gained a certain (illusory) self-confidence by rejecting superstition, individuals--as a consequence--have largely lost a personal sense of the miraculous. Cyclotrons and genetic engineering may well represent a pinnacle of scientific achievement, but they can scarcely be called miracles. Crop circles are mysterious, yet there is obviously an intelligent hand behind them. Hubble’s photographs of far-flung galaxies are awe-inspiring and glorious, yet what is revealed is too vast and impersonal to make much of an impact on everyday life. By discrediting all superstition, including in some extreme cases religious belief itself, materialism necessarily becomes blind to the reality of all incorporeal life. There’s good reason to believe that the midwayers draw their existence somewhere within the ultraviolet range of the electromagnetic spectrum. This makes them invisible to our eyes under normal conditions, although within their own realm they are as real and solid as we are in ours. They are not spirits or ghosts, neither are they real angels. They are, in a way, the true guardians of the planet, who live on here far beyond the generations of humans, whose care for the planet is probably deeper than we can imagine. Midwayers are able to interact with our reality under extreme conditions, but like all higher orders of intelligence, they walk a fine line between necessary intervention and allowing a human situation to work itself out without any interference from them. To actually see them must be an extraordinary rarity. So it was that I found myself one late afternoon on that deserted beach in Israel as dusk was starting to fall. On my left, cliffs rose at a sharp angle two hundred feet up to the dunes and scrubland above. The steep slope was studded with rocks dangling precipitously. Keeping a wary eye on the cliffside above and dodging fallen rocks, I made my way along the beach. I paused briefly at what I’d come to think of as a natural sacred circle: seven or eight larger-than-man-size boulders that must have plunged down the cliff, embedding themselves in the beach in an almost perfect circle. They stood upright, like the megalithic standing stones of northern Europe. I’d meditated here before, but this evening my intuition was drawing me farther down the beach. I walked on as the light dimmed until I reached a large, flat rock. It was still warm from the sunlight, and I felt relaxed and comfortable sitting on it and staring idly into the surf. It was at that point during sunset when the air can almost turn lavender. The waves rolled in, the surf striking the rocks and throwing up sheets of violet spray that hung in the air before the next wave replaced them. It felt like one of those magical moments in which nature lowers her veil and we catch a glimpse of what lies beyond. I relaxed into the beauty of it all. My mind was empty as I gazed into the violet haze. Suddenly my whole body jolted. There, in the constantly shifting curtain of spray, I could quite clearly see a group of ten or twelve Beings, very tall--almost twice the height of humans--with a couple of children among them, all plodding slowly along in single file up a slight incline. There was no indication that they saw me, or even had any awareness of the landscape I was in. They were simply going about their business. This strange scenario, as real as anything I have ever watched on a movie screen, persisted in the violet mist as long as the waves replaced the spray. When the light slowly changed and the spray no longer refracted a violet glow, the figures dissolved and disappeared. Though never as “real” as the rock on which I was sitting, the figures and the landscape through which they were trudging appeared perfectly solid. Neither had this been a single flash--my brain trying to make pattern- sense out of a random cloud of water molecules. These Beings walked! I’ve had hallucinations in my life; anyone who has taken a powerful entheogen knows what they are like. The walking figures were no more a hallucination than the moving images of a film. The diagnosis of a skeptical psychologist might suggest that my interest in the midwayers had become obsessive and my fevered brain had manufactured a delusion to support the obsession. Reversing that assumption creates an equally valid argument. It was the very passion of my interest, and not obsession, that signaled my desire to get to know midwayers better, resulting with them creating a delightful and clever mise en scène in which this could occur. I knew, without a shadow of a doubt, that what I had seen on that beach in Israel on that late summer day had been a small group of midway angels. Timothy Wyllie (1940-2017) was born in Great Britain and raised in London. Having wended his way through an English public school education and then seven years further study at college, he qualified as an architect. In the late 70s, Timothy began a systematic exploration of out-of-body states. This led to experiments in telepathic communication with dolphins and an open invitation to contact with nonphysical beings that continues to this day. During this time, he was also running his own business in New York City, marketing a system he had co-devised for storing and filing color photographs. He retired from the business community in 1981 and turned full time to his creative endeavors. As a musician, Timothy made several tapes of what he called "Bozon Music"--a True Age improvisational jazz, shamanic music of the heart--as well as a series of guided visualization and meditation tapes. Also an artist, he worked on a virtually endless progression of drawings of sacred landscape. It was what brought him most joy. Timothy traveled frequently to give lectures and seminars or to investigate sites and locations for his drawings. He is the author of Ask Your Angels: A Practical Guide to Working with the Messengers of Heaven to Empower and Enrich Your Life, Dolphins, ETs & Angels, the Rebel Angels series of books featured below, and a co-author of Adventures Among Spiritual Intelligences: Angels, Aliens, Dolphins & Shamans.